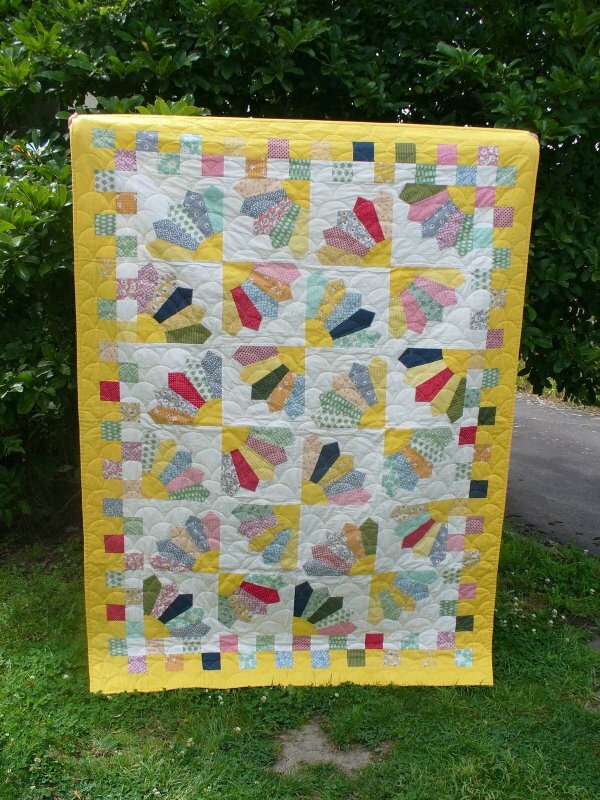 "The following tutorial looks at how to make a Grandmother’s Fan quilt block. This is a traditional block that was very popular in the 1930’s and reflects the sunburst motifs of Art Deco. It is much like a Dresden Plate block but allows for a little more tolerance as it is only a quarter circle. 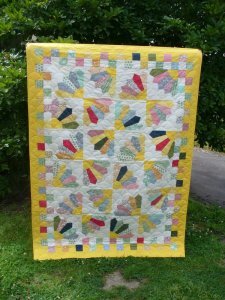 This tutorial includes making the templates for a 10" finished block. The applique is done with vliesofix and machine top stitching."